We were thrilled at the opportunity to collaborate with another design consultancy to provide concept design drawings and project management consultancy. Our objective was to transform Islington London Borough Council offices to inspire staff and optimise their work performance and improve department communication. At the time Islington Council was fragmented, operating from three separate buildings. As part of our design proposal we looked carefully into the feasibility of having all the staff centralised into one main building, saving millions in costs to the council and the local government. We analysed the wasted space and storage on the available floor areas and decided to outsource to an external consultancy who looked at the possibility of saving storage space if we digitised internal documents or stored the documents offsite. As part of their brief they also investigated how long people were away from their desks either working remotely or away on business activities by carrying out time in motion study, a widely accepted method applicable to the improvement and upgrading of work systems. This then provided the analytical data that we needed to be able to design the workspace in a scientific and smarter way. 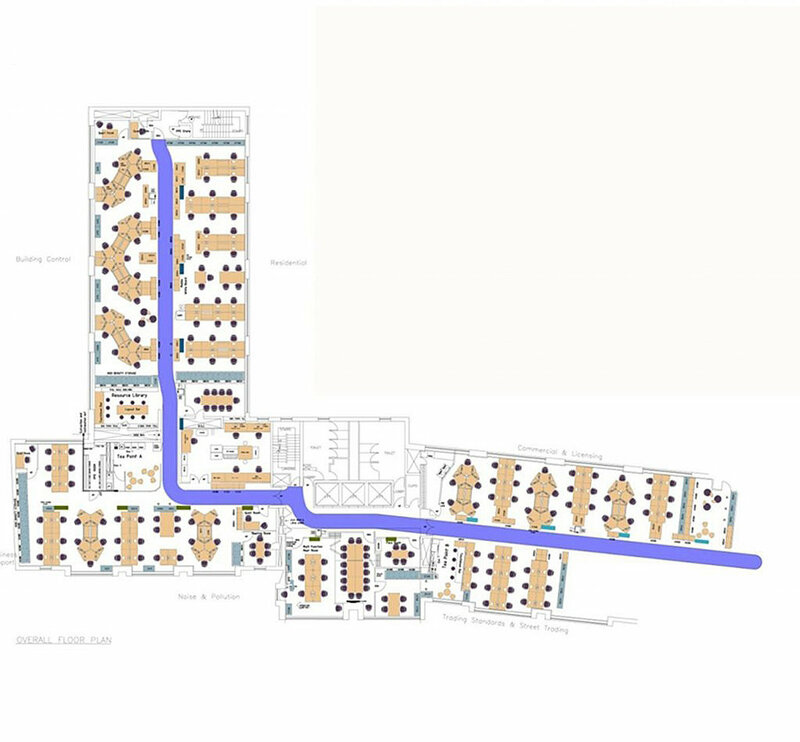 After many internal design meetings with various departments and amended drawings, we finally decided that we could, with careful space planning, populate the largest building and get rid of the other two buildings. This meant millions of pounds were saved in rent and the savings made helped to provide funds for the refurbishment over three years. The end solution resulted in housing the entire staff over three floors. We also suggested “smart flexible working” and council cultural changes to improve communication among staff. This meant that within each department no staff member had a designated static seat thus improving team spirit and building as they were always sitting next to someone new, learning a little bit more about their jobs and job skills. Personal lockers were provided in the design so that at the end of the day desks were cleared and staff could then choose any seat the next day. Communal areas would be integrated to foster a sense of belonging e.g. the kitchen, Library and break-out areas relieving stress at work. Staff are now happily rehoused and collaborate all under one roof to achieve common goals. The team spirit is at its peak and is contagious: staff are no longer dispersed over multiple buildings and can nurture and share ideas unhampered by distance. 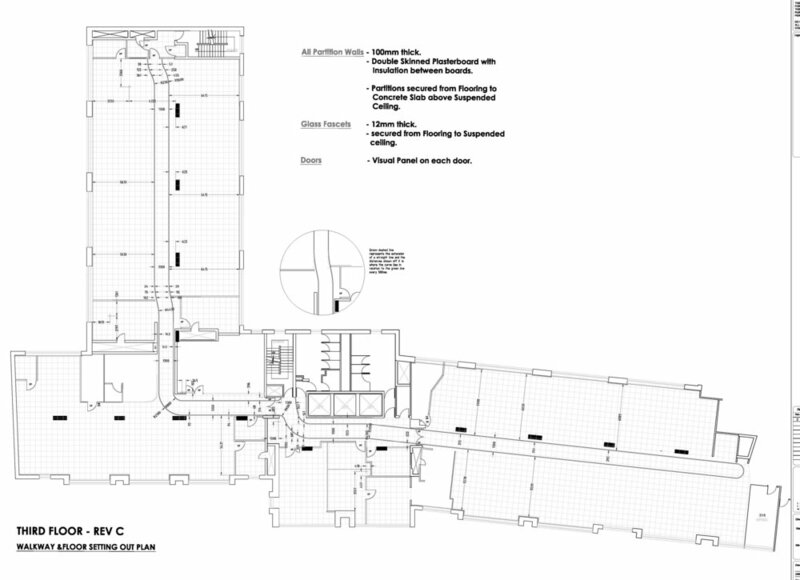 We showed once more how important meticulous space planning is when designing a large office. The project brief was totally fulfilled and became a benchmark design for other council and government buildings in the UK.